Master of the Occult Arts Carl Nagel returns with his latest, power-packed book of effective, simple-to-perform Magick. Its no secret that Nagel has always been able to provide radically simplified versions of Magickal Rites which would otherwise take half a lifetime to learn, in their traditional formats. In this remarkable book, the secrets of Astral Magick are laid bare, and explained in step-by-step detail. From making Out of Body journeys into the Astral Plane, through to a comprehensive system of specially-adapted Medieval Ceremonial Magick, Carl Nagel leaves no stone unturned. 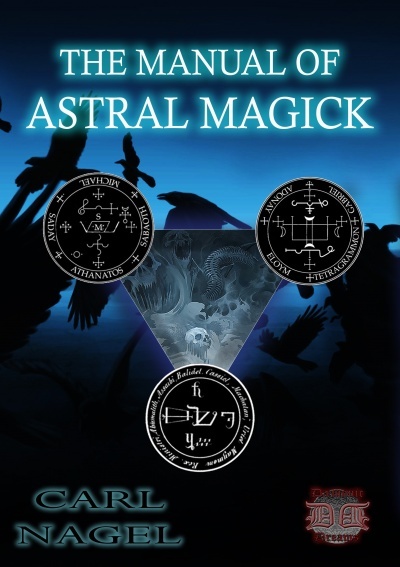 Whether you are already an experienced student of the Occult Arts, or an absolute beginner, the Manual of Astral Magick is one of the most accessible books ever to be made available. * Become an invisible traveler to discover secrets. * The seven conjurations of the seven planets. * Astral magick conjuration for material desires. * Astral magick conjuration to master witchcraft. * Astral magick conjuration for sexual desires. * Astral magick conjuration for self-indulgence. * Astral magick conjuration for personal power. * Astral magick conjuration for all kinds of information. * The seven sacred seals of the seven angels. * The seal of Raphael to mend a broken heart. * The seal of Gabriel for spiritual wisdom. * The seal of Samael to overcome obstacles. * Magick images for each hour of the day. Get YOUR copy NOW, and finally YOU can learn to master the Astral Realm!